For the floral designer in your life! I you want to gift someone who has the skill of creating beauty with the stems then this one is for you! 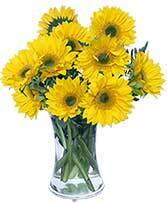 This presentation style bouquet comes with a fantastic assortment of greens and flowers. 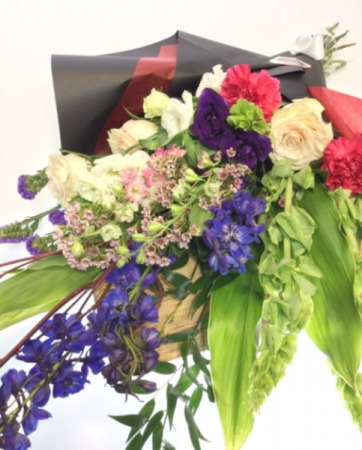 Customize your colours, flower types or just go with the flow of the the season by leaving us a note when you order or call us after you order to find out what we have in our cooler that best suits the recipient! A fun arrangement in various shades of purple offset by the funky lime green of the Anastasia Mum.